This sign was on the path from the hotel to coast. Not sure what it’s for. 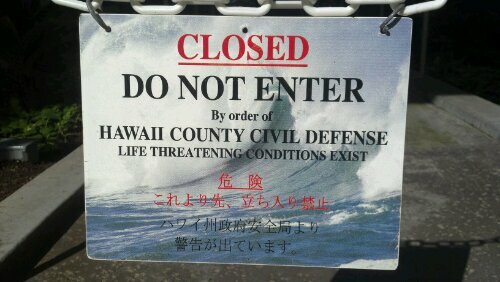 If my Kanji is up to snuff, it means “keep out, this means you haoli”!